There is no better way to honour the founder of a religion than to not shed blood in celebration. December is a time of year for joy, excitement, jubilation, exchange of gifts and pleasantries. It is sadly also a time that thousands and thousands of animals are axed and laid before a Christmas table. Whereas millions of people enjoy the festive season that very festive season becomes a season of horror – virtually a holocaust – for animals who are fed to be slaughtered in their millions. Buddhism is perhaps the only religion of the four global religions that venerates life in its fullest sense and no milestone of the Buddha is celebrated by denying and depriving the life of any sentient being. This noble example should be extolled and highlighted in our present society where humane standards are in rapid decline. Sadly in nations where Abrahamic religions constitute the majority religion their people do not have an opportunity to study the essence of why Buddhism preaches the noble concept of ahimsa – the moral that stands behind the simply logic that all sentient beings have lives, and as much as you love your precious life so do the other living beings and they do not wish to die. Therefore it morally obliges us as right thinking humans not to kill innocent harmless animals and cut short their natural lives. The next train of thought leads to the karma of killing. We may recall that the Bodhisathwa (the Buddha to be) in a former life according to a Jataka tale, was born as a Deer-King and offered his own life for that of a pregnant doe. In another life the Bodhisathwa had sacrificed his own life to feed a starving tiger and her two cubs trapped in the snow. His moral reasoning was that it was nobler to save 3 lives instead of preserving one i.e. his own. All living things fear being beaten with clubs. All living things fear being put to death. Let no one kill nor cause another to kill. If humans experience fear, pain, distress these same sentiments are experienced by animals too. True reverence for life is shown in the Buddha’s teachings and the philosophy behind the noble thoughts of the Buddha requires to be shared among other religions as well. No religion that calls for destruction of lives of other sentient beings can be said to have an exemplary code of ethics. 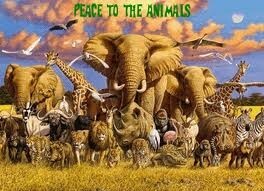 Buddhism urges peaceful co-existence between man and animal. This is one of the noblest ethics of a true civilization. Nobody is born in this world to be offered as food to sustain the life of another. Life is the most precious asset of every living being and a true religion will recognise and uphold that fundamental premise. It is poignant to recall the historic address of one of Sri Lanka’s most respected Buddhist leaders of yesteryear the late L.H. Mettananda on the occasion of the presentation of the Report of the Buddhist Commission to the Maha Sangha and the Buddhist public at Ananda College on the 4th of February, 1956 where he called upon the State to undertake the implementation of a Dasa Panatha and he gave the highest priority in his list of ten demands to a call ‘To recognize the principle of Ahimsa in all activities’. The Maha Sangha and Buddhist Organisations in particular during a time of election must push for the inclusion of ‘ Ahimsa’ as a State Policy and call on all contenders for the post of President to public declare their acceptance of this ideal and commitment to work towards the creation of a Compassionate Society in Sri Lanka that is truly inclusive of all living beings. We must commit ourselves to revive the animal friendly cultural heritage that our country sustained for nearly 2000 years and was part of its proud boast to the rest of the world as a ‘ Dhammadipa’ until the unfortunate entry of the Portuguese to our land in 1505. The policy of Ahimsa across State apparatus is nothing that any non-Buddhist religion can cry foul over for it essentially means to protect and foster life. This must also be incorporated into state policies for promoting vocations among the unemployed and others seeking an alternate livelihood in a self employed capacity. As a predominantly Buddhist country the Govt. of Sri Lanka must encourage right livelihood among the people as Bhutan so nobly does to the great admiration of the world. Right ethics must form part of conditions attached to the grant of loans to the public, and the destruction of life in any form should not be supported or sustained by state economic policies. 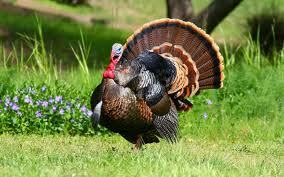 Every year 20million Turkeys end up slaughtered for the British Christmas table. If anyone were to see what goes on inside slaughterhouses they would all become vegetarians. The recent death of a young cricketer in Australia who was raised in a cattle slaughter farm and the unusual manner of his death i.e. loss of blood to the brain similar to the manner in which cattle are deprived of blood to the brain upon cutting of the throat has given rise to speculation of the possible effects of karma boomeranging on him. You reap what you sow is an eternal principle of life and no amount of prayers to god(s) can protect one from the karmic effects of evil conduct. The Muslims too celebrate their main festivals with slaughter of innocent animals and every celebration across the Muslim world leads to millions of animals facing their deaths.Today there is a huge amount of agony spread all over the Islamic world due to interminable violence the large scale massacre of young children in Peshawar in Pakistan, the latest such incident. 2) “Thou shalt not kill” does not apply to murder of one’s own kind only, but to all living beings; and this Commandment was inscribed in the human breast long before it was proclaimed from Sinai. Let us therefore enter 2015 with a resolve to usher in a world of compassion for both humans and animals and all other living beings minus animal sacrifice, cruelty and slaughter of any living being. What is the rationale behind what you write here? Is it to bring about animosity between Christians and Buddhists when Christians are celebrating one of their main religious events? You are childish to bring out this my religion is better than your religion scenario. How many Buddhist do you think follow the teachings you are highlighting here? My conclusion is you are wasting your time! X-mas is not about Metta and Karuna. Would Shenali or any reader for that matter be able to name one vegetarian restaurant owned and run by a Buddhist? ” The rationale is simply to give voice to the suffering of animals especially during Christmas time. If animals could talk they will have no hesitation in declaring the day of Christmas as a day of infamy for non – human sentient beings who are killed in their millions to satisfy the taste buds of humans who celebrate their religious festivals shedding copious amounts of blood of innocent animals. Buddhism stands out among major religions in its defense of the right to life of all beings rather than only human beings and this noble stand has won the admiration of all right thinking people in the world. We Buddhists consider all living beings as part of the moral community and ideally speaking we cannot be party to the destruction of life of any being and particularly in celebrating the birthday of the founder of the religion. This is the vital message given in the article in question. It is not meant to be divisive or rabble rousing. If Buddhists are expected to conform with each and every practice of adherents of Abrahamic religions however barbaric it is e.g. animal sacrifice, the question that arises then is what would be the rationale for the existence of Buddhism on a separate footing. The Buddhist definition of peace is peace for all beings.Not only for humans. The projection of Jesus Christ as the ‘ Prince of Peace’ is somewhat of a misnomer as animals go cursing to their deaths in their millions as part of the celebration of Christmas. A veggie merry, animal-friendly Christmas! As for Marco’s question I agree that it is the fault of Buddhist organisations that no Buddhist-run vegetarian restaurants have not been opened in Sri Lanka (to our knowledge) in comparison to Hindu-run restaurants and also in predominantly Buddhist Taiwan among other Buddhist communities. Since Buddhism – unlike Abrahmic religions – is not a religion of commands the Buddha did not order Buddhists to become vegetarians but appealed to their conscience. It means not to kill, cause to kill directly or indirectly (except unknowingly). Anyone who buys or get others to buy flesh for his/her own consumption is encouraging the meat industry. Eusense, it is you who should be taken to task for making unsustainable statements. I suppose that you are very much aware that it is the heavily funded Christian evangelical movement (to the tune of billions of dollars in USA) that indulges in creating the religious scenario everywhere their Christian missionaries visit by taking up the position that ‘ my religion is better than your religion’. The Vatican is equally guilty of such conduct when the Pope proclaimed that the third millennium is the appropriate period for harvesting souls in Asia for Christianity. This is to be done on the basis that the western sponsored religion i.e. Christianity, is superior to any of the Asia based religions such as Buddhism, Hinduism or even Islam. It is followers of Christianity rather than followers of other religions that has made a huge business out of converting ( really ‘purchasing’the allegiance of ) other people to their religion. This is a very profound statement. In other words, it is better to celebrate Christmas on the noble footing of ‘peace to all living beings’ without destroying the lives of millions of animals as part of its celebration. In contrast, Vesak , the Buddhist festival is free of killing of any living being as part of the celebration. Slaughter houses and meat markets are closed on Vesak day in Sri Lanka by a state decree. As regards religious exclusivism of Christianity this is what I found in Wikipedia. Acts 4:12 quotes Peter, Jesus’ chief disciple, as declaring: “There is salvation in no one else; for there is no other name under Heaven that has been given among men, by which we must be saved.” Such statements, as with John 14:6, can be made to imply an exclusivistic message if taken in an absolute sense. While biblical quotations may be cited giving a more inclusivistic and universalistic perspective on salvation, the fact remains that throughout most of Church history, the state religion of the later Roman Empire, which experienced a split CE 1054, resulting in the estrangement of the Eastern Orthodox churches in the East from the Roman Catholic Church in the west, taught that only through membership of the state church could one be saved. This has been formulated as ‘Extra Ecclesiam Nulla Salus’ outside the church there is no salvation. Church Fathers such as Origen were marginalised and usually considered heretical in teaching a universal salvation, in which everyone would ultimately come to God. The official view was that orthodox Christians alone would be saved, and any who failed to come to the church while they were alive on earth would be doomed to eternal damnation. This entry was posted on Tuesday, December 23rd, 2014. You can follow any responses to this entry through the RSS 2.0 feed. You can skip to the end and leave a response.